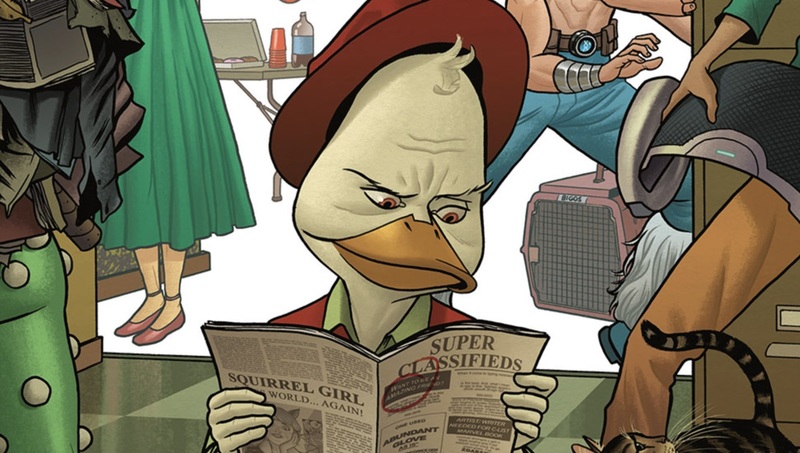 Just when it didn’t seem like it was ever going to happen, we’re finally going to get more HOWARD THE DUCK! They’ve teased him a couple of times in the GUARDIANS OF THE GALAXY movies, but now he’s getting his own animated series on Hulu, with Kevin Smith helming the project! Marvel has teamed up with Hulu to bring us FOUR new ADULT animated Marvel series! Marvel’s TIGRA AND DAZZLER SHOW is a story about two woke superheroes and best friends, Tigra and Dazzler, as they fight for recognition among powered people who make up the eight million stories in Los Angeles. Writers Erica Rivinoja and Chelsea Handler serve as executive producers along with Jeph Loeb. Marvel’s The Offenders, is a story in which nobody asked them to -- and we’d be better off if they didn’t -- but MODOK, Dazzler, Tigra, Hit Monkey and Howard the Duck are all forced to team up in order to save the world and certain parts of the Universe. Jeph Loeb will executive produce. While DC is in the early stages of their own streaming service, it seems that Marvel has outsmarted them by teaming up with Hulu. Because really, who wants to pay for another one off streaming service? Though I’m sure whenever Disney launches their own service, Disney+, they will assimilate all Marvel streams.